Located just off Colpitts Road and the 20 Freeway, you can find us near Boston Post Road and the Concord Road, just a short distance from the 95 Freeway. If you are looking for a convenient and comfortable dental implant provider, then look no further! There is no time like the present to get back to optimal oral health and to get the smile you have always wanted with natural-looking and highly functional dental implants from Weston Dental Specialists. Alaa Alwazzan, D.M.D., D.D.S., M.S.c., F.A.C.P. Dr. Alaa Alwazzan is a board certified prosthodontist who specializes in esthetic, comprehensive , and implant dentistry. With over 15 years of dental practice, he enjoys providing his patients with the highest level of dental care at the most reasonable costs. And because he treats each patient as a family member, he is much respected in his community. Dr. Alwazzan initially moved from Budapest, Hungary to the U.S to pursue an education at Tufts University School of Dental Medicine. While there, he received a DMD and completed specialty education in Prosthodontics. Because of his exceptional dedication to his studies, he graduated with honors, achieved a Certificate in Prosthodontics, and earned a Master’s of Science degree. 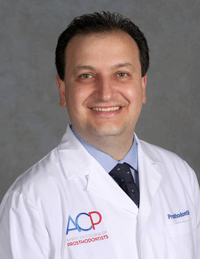 Dr. Alwazzan has a wide base of patients so he also speaks fluent Hungarian and Arabic. 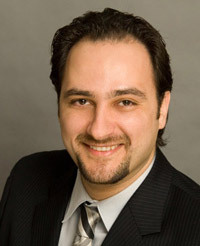 Not long after beginning his education, Dr. Alwazzan found that he had a special interest in surgical implant dentistry. While completing his studies, he was awarded a surgical implant training certificate from the Temple University via the Misch International Implant Institute. With so much love for the field of dentistry and an aptitude for teaching others, Dr. Alwazzan decided to teach from 2004 -2010. During that time, he served as full-time assistant professor at Tufts University in post-graduate Prosthodontics. He also served as a clinical assistant professor at Boston University School of Dental Medicine and lectured at Tufts University Continuing Education Department. Outside of the office, Dr. Alwazzan is an avid Celtics fan, and cheers for all of the New England sports teams. When he isn’t working, he enjoys sharing his time off with his wife. Dr. William Heggerick is originally from Detroit, Michigan. His undergraduate training was completed at John Carroll University in Cleveland Ohio and at the University of Detroit School of Dental Medicine. He finished his post-doctoral studies in Prosthodontics at Tufts University School of Dental Medicine. Shortly after, he completed a national board certification and received Diplomate status from the American Board of Prosthodontics. Dr. Heggerick and his wife have three children and two grandchildren. When he isn’t treating patients, his loves baseball and skiing. After some injuries, he turned to golf and eventually fly fishing. 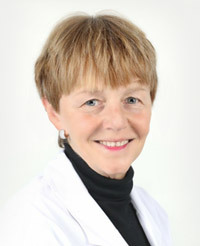 Dr. Suzanne Noel received her dental degree from Tufts University School of Dental Medicine. She then went on to finish a two-year advanced degree program in Prosthodontics. For fifteen years she enjoyed being an Assistant Clinical Professor of Restorative Dentistry. During this time, she shared her extensive knowledge with both undergraduate and graduate dental students. 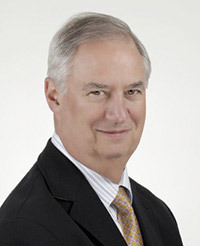 Dr. Noel served as President of the Tufts University Dental Alumni Association in 1995-1996. She was also on the Board of Directors of the organization for ten years. Dr. Noel is a member of numerous societies including the ADA, the International College of Dentists, and the American Academy of Dental Science. When she isn’t seeing patients, Dr. Noel loves spending time outdoors. If you don’t find her treating patients, you will likely see her jogging around town or paddling in her kayak. Mario Gatti, D.M.D., C.A.G.S., F.A.C.P. Dr. Mario Gatti is originally from the Lake Como region near Milan, Italy. He is a Board Certified Prosthodontist with special interest in comprehensive, implant, and esthetic dentistry. Dr. Gatti received his DMD certificate from Tufts University School of Dental Medicine in 2000 and a CAGS in Advanced Education in General Dentistry from Boston University Goldman School of Dental Medicine in 2001. After working for three years in Boston as a general dentist, he returned to Tufts University School of Dental Medicine where he completed a three year Post-Graduate degree in Prosthodontics and a Fellowship in Advanced Education in Esthetic Dentistry in 2010, Dr. Gatti completed a Fellowship in Implantology from New York University College of Dentistry where he learned the surgical aspect of implant dentistry from world renowned surgeons. Dr. Gatti is an assistant clinical professor at Tufts University in the Department of Post-Graduate Prosthodontics. 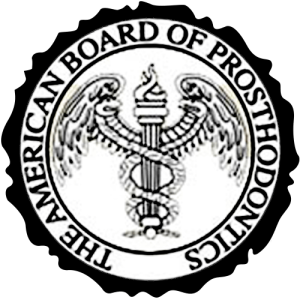 He is a Diplomate of the American Board of Prosthodontics, a Fellow of the American College of Prosthodontists, a Fellow of the Greater New York Academy of Prosthodontics, Past-President of the American College of Prosthodontists Massachusetts Section and Treasurer of the Tufts Prosthodontics Alumni Charitable Organization, position he took over after several years from Dr William Heggerick. He is fluent in English, Italian, and Spanish. He lives in Concord, Ma with his wife Emily, and their three children Anna, Elena and Nico. He enjoys traveling, cooking, soccer, and rooting for Boston’s professional sports teams. Dr. Alwazzan and his wonderful staff have earned a well-deserved reputation in their community and beyond, thanks to their superior dental implant services in Weston, MA. They also cater to patients in the Concord, Lexington, Lincoln, Newton, Wellesley, Wayland, Natick, and Sudbury areas. Come in today and see for yourself why their patients are so delighted with the services they provide. They also offer great financing options, so come by and see them to transform your smile today.